If you’re wearing something blue, clap your hands. If you’re wearing something blue, then stamp your feet, too. 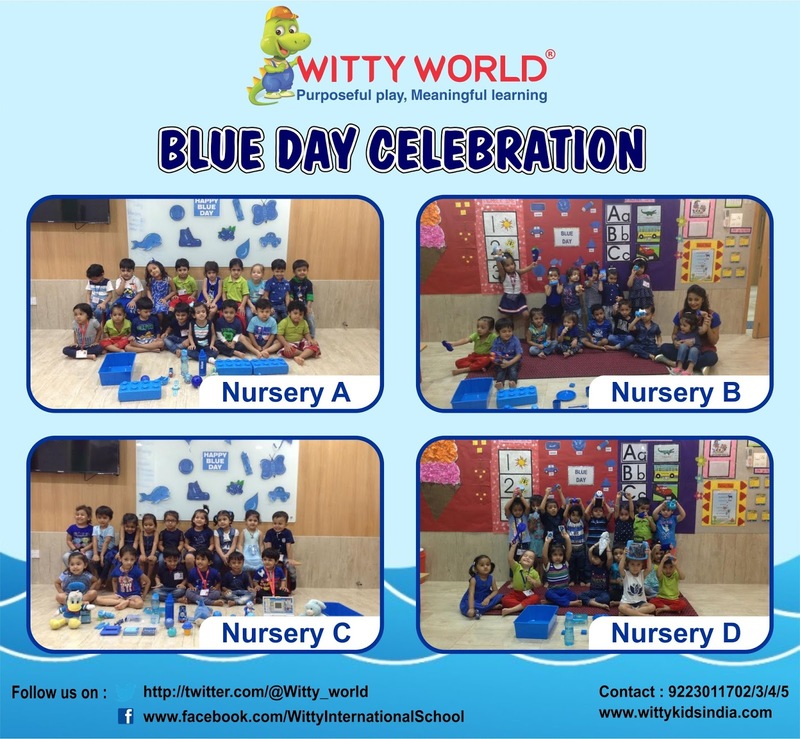 Nursery children celebrated 'Blue Day' with great enthusiasm at Witty World on Monday, 18 July 2016. 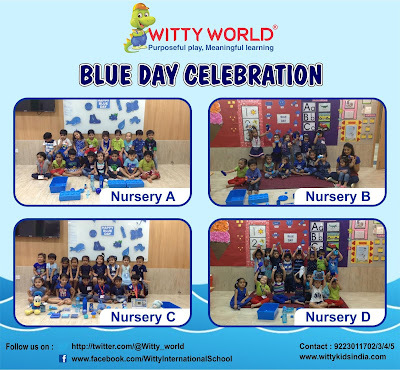 Children and teachers came dressed in blue as well as the classroom was pre-decorated to give the blue day feel. Recognition of blue colour was done with the help of blue colour objects. Children enjoyed seeing an AV on “Billy Blue Boy”. Blue day was real fun and informative for the children.